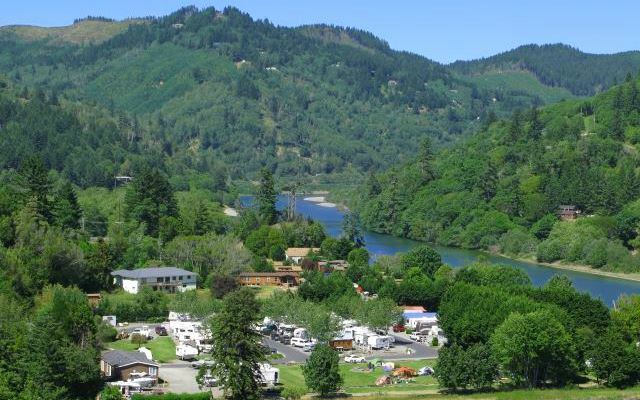 Riverside RV Resort – Join Us By The Chetco River! 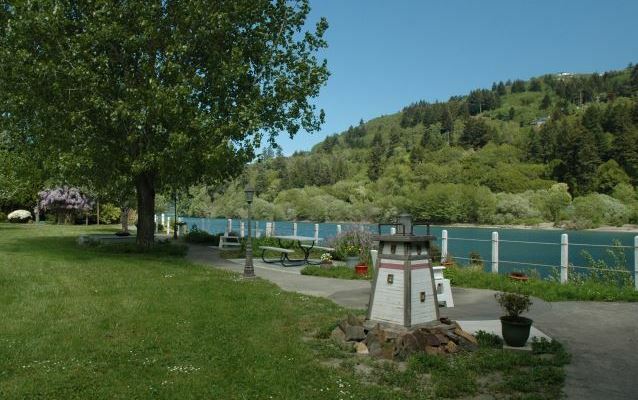 Join Us By The Chetco River! Panorama . 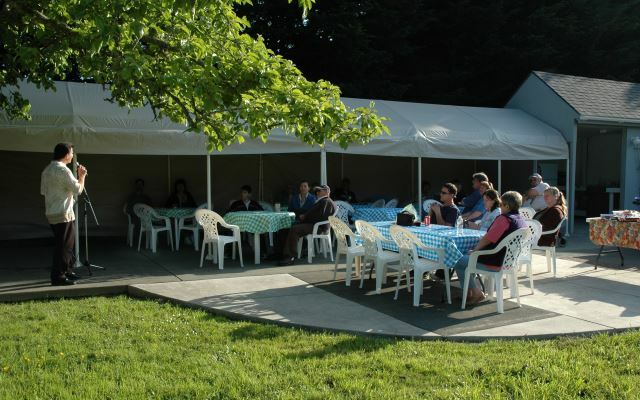 . . you can have it all - park, river, mountains! 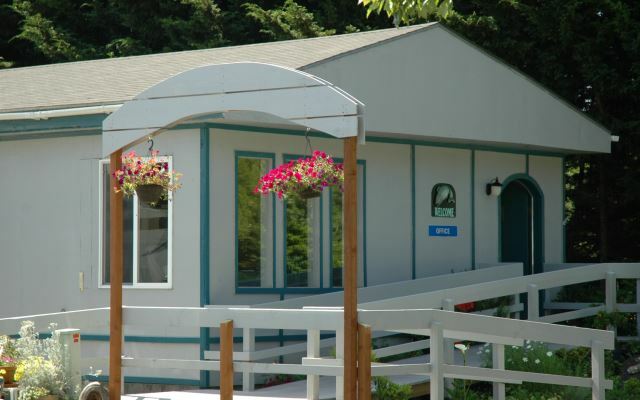 Welcome to Southern Oregon’s finest river front RV resort. 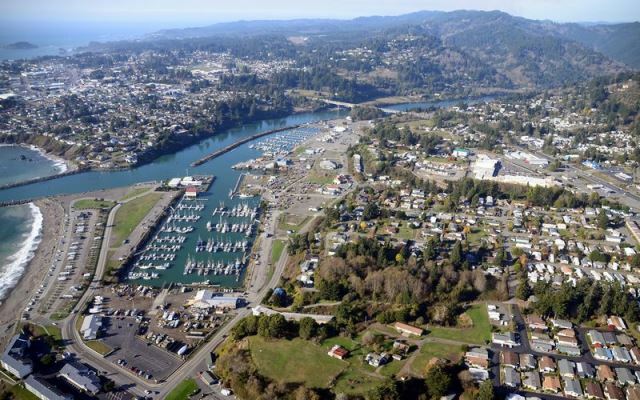 We are located on the North Bank of the Chetco River in Brookings Harbor, Oregon just six miles from the California border and one mile from the Ocean beaches. 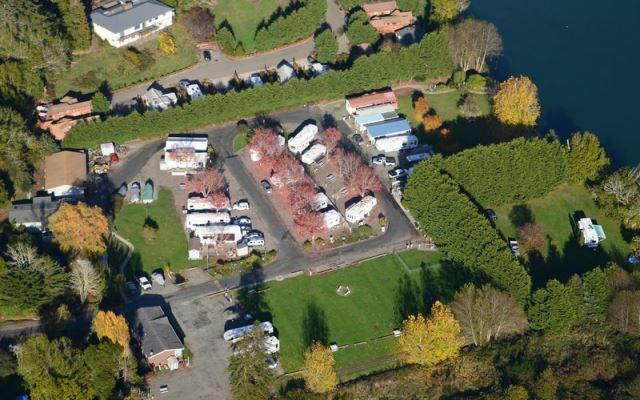 The serenity and beauty of this RV resort will delight you. 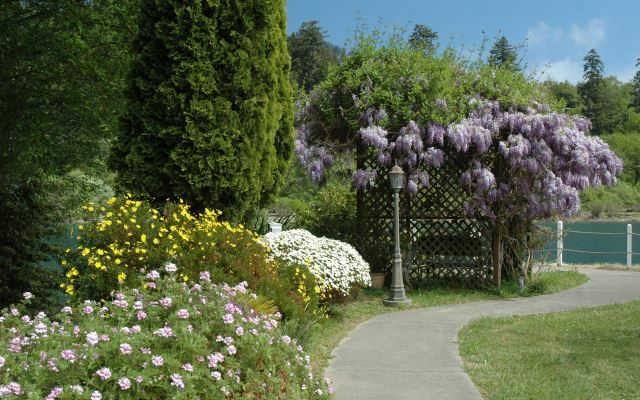 Come sit and relax on love seats along the beautiful Chetco River, and stroll through the gardens. 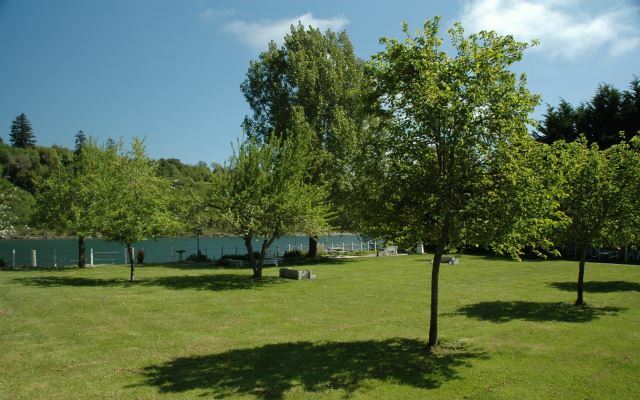 Shade and fruit trees, flowers and berries are scattered throughout the park for all to enjoy. 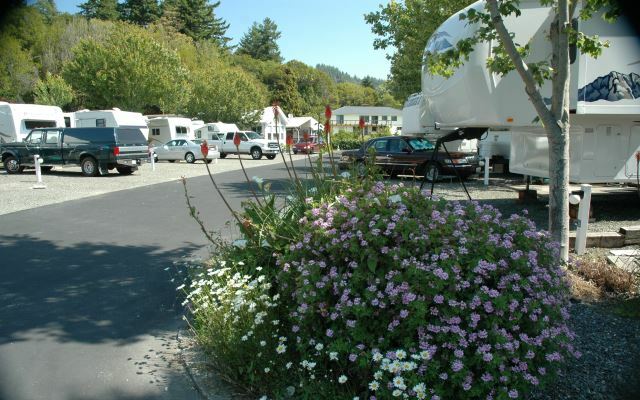 Riverside Rv Resort is located close to shopping, hiking trails, golf courses and ocean beaches.